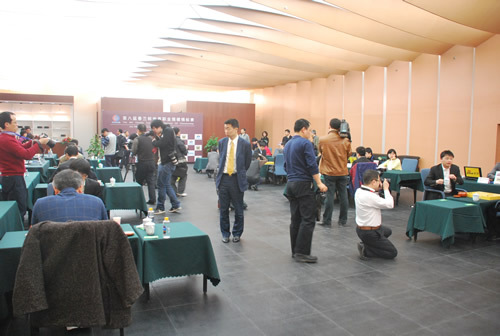 China is dominating the international Chunlan Cup after two rounds. Out of the eight remaining players, five are Chinese: Kong Jie (defeated Choi Cheolhan of Korea), Wang Xi (defeated Yuki Satoshi of Japan), Xie He (defeated Iyama Yuta of Japan), Gu Li (defeated Yamashita Keigo of Japan) and Gu Lingyi (who eliminated Lee Changho of Korea). Korea will have two representatives in the quarterfinal: Heo Yeongho (who eliminated Chang Hao of China) and Lee Sedol (who eliminated Sun Tengyu of China). 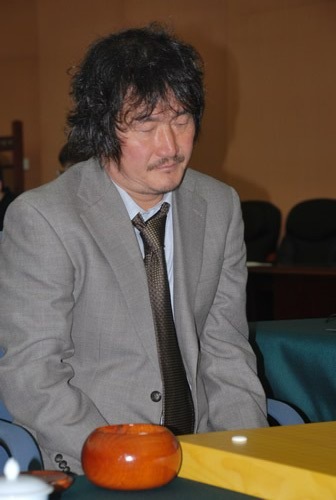 As for Japan, only one of its four representatives who survived round one will play in the next round, and that is no other than the veteran Cho Chikun who defeated Qiu Jun of China. Here is the record of the game in which Cho Chikun, playing black, defeated Qiu Jun by resignation. How Strong Are Professional Players? Just how strong are top professional go players compared to amateur players? This question comes up again and again. The replies vary a lot, from saying that current amateurs are so strong that there is little difference between them and top professionals, to saying that there is such a huge gap that amateurs can never get any close to top professionals levels. It is being said that top Asian amateurs are quite close in strength to mid-level (5 dan) professionals. It is not easy to get a very accurate comparison though due to the fact that there are few chances for amateurs and top professionals to play together. One interesting data point is the series of results of the annual games between the professional Honinbo and amateur Honinbo in Japan. The handicap is adjusted each year according to the previous year’s result, and the handicap seems to vary between 2 and 3 stones. A very big surprise came recently when Lee Changho was defeated in BC Cup by a Korean ex-insei amateur. A few years ago Fernando Aguilar, a very strong Argentinian amateur, defeated two 9 dan professionals in a row in Toyota and Denso Cup. These kinds of exceptional results are keeping the amateurs hopes high. But exceptional results are statistical improbable. We have to look at several games to draw a meaningful conclusion. At the recently finished Shusaku Cup organized in Romania there were two Chinese professional players invited (Luo Xihe 9p and Huang Yizhong 7p), and they played teaching games with several top players. Last year the guests were Mok Jinseok 9p and Kim Seung-Jun 9p of South Korea. The professional guests gave between 2 and 4 stones handicap to several European players rated 5-7 dan and won almost all games both in 2009 and 2010 editions. This shows that professional players are very very strong. Pal Balogh 6d received 3 stones from Luo Xihe 9p and won by 3.5 points. This is the only instance when the amateur player won in the series of the Shusaku Cup demo/teaching games that I saw. Ilia Shikshin 7d received 2 stones from Luo Xihe 9p and lost by 0.5 points. Ondrej Silt 6d received 3 stones from Luo Xihe 9p and lost by resignation. Cornel Burzo 6d received 3 stones from Huang Yizhong 7p and lost by time. Lucian Corlan 5d received 4 stones from Huang Yizhong 7p and lost by 2.5 points. Artam Kachanovsky 6d received 3 stones from Huang Yizhong 7p and lost by resignation. Lucian Corlan 5d received 3 stones from Mok Jinseok 9p and lost by resignation. Ali Jabarin 5d received 4 stones from Mok Jinseok 9p and lost by resignation. Lucian Deaconu 5d received 3 stones from Kim Seung-Jun 9p and lost by 0.5 points. The third edition of the Romanian Shusaku Cup has ended. In-Seong Hwang 7d of Korea won all six rounds. Catalin Taranu 5p or Romania came second as he lost just one game, against In-Seong Hwang, by half a point. Ilja Shikshin 7d of Russia was third, leading the block of players who had two losses (the others were Cristian Pop 7d of Romania, Artem Kachanovskyj 6d of Ukraine, and Ondrej Silt 6d of Czechia. EuroGoTV did an awesome job broadcasting the videos of the top two tables live as video as well as on KGS (archives here and here). Here is the game that In-Seong Hwang, playing black, won by half point against Catalin Taranu. You can find the final results here. 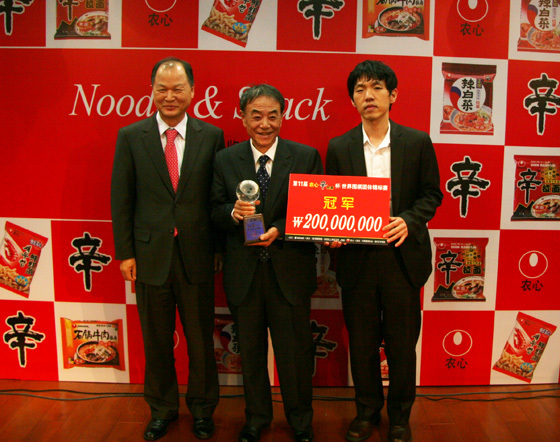 China was way ahead in this year’s Nongshim Cup with three players left even after Japan was eliminated and Korea had only one player left. Turned out that strength is not always in the numbers: the last man standing from the South Korean team, Lee Changho, single-handedly won the cup for his country after defeating all remaining Chinese players: Liu Xing, Gu Li and Chang Hao. Lee Changho defeated Chang Hao by resignation. 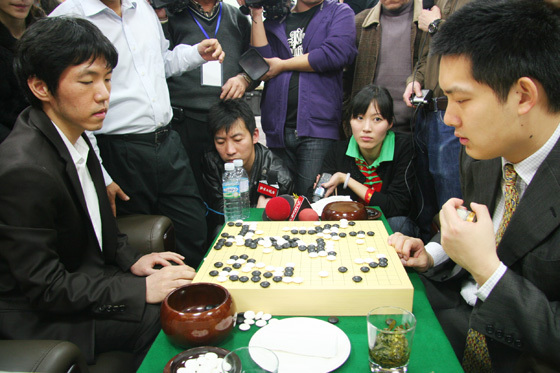 In the game with Gu Li, Lee Changho also won by resignation. You can find the complete tournament table at Mr. Kin’s website. 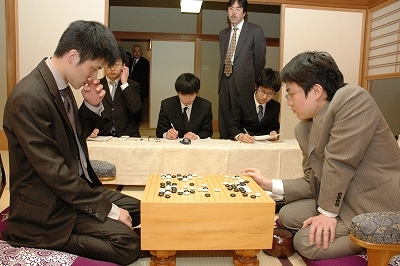 Just a few days after Cho U captured number one Japanese title, Kisei, from Yamashita Keigo the same two met again in the first game of the Judan title. This time Cho U is the title holder and Yamashita Keigo is the challenger. Cho U captured Judan from Takao Shinji last year. Takao then put up a good fight in the qualification tournament to become challenger, but was defeated by Yamashita in the final of the knock-out tournament that decided the challenger. 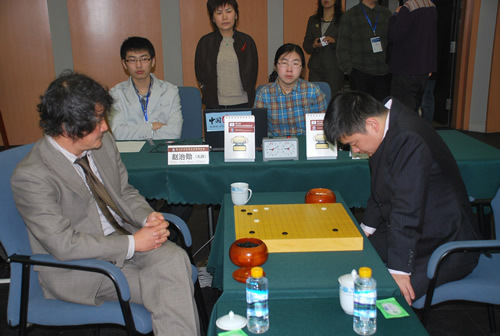 Cho U started his defense of the Judan title well and won the first game. The next game will be played on March 25th. Here is the game record: Cho U played black and won by resignation. You can see also the complete tournament table here. You are currently browsing the 361points.com/blog blog archives for March, 2010.